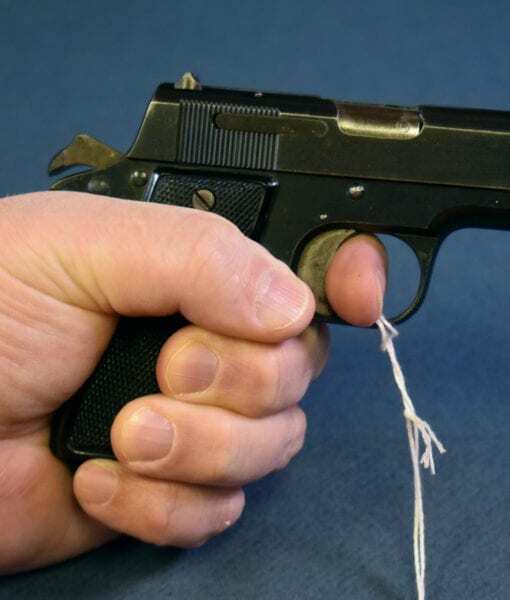 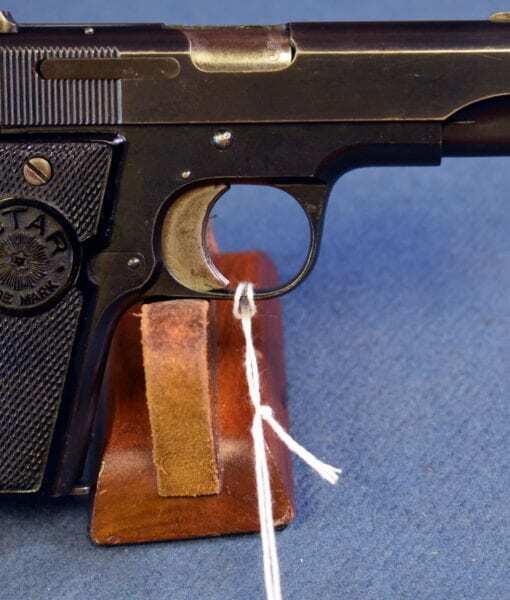 This is one of those obscure German WW2 pistols that everyone talks about but never sees. 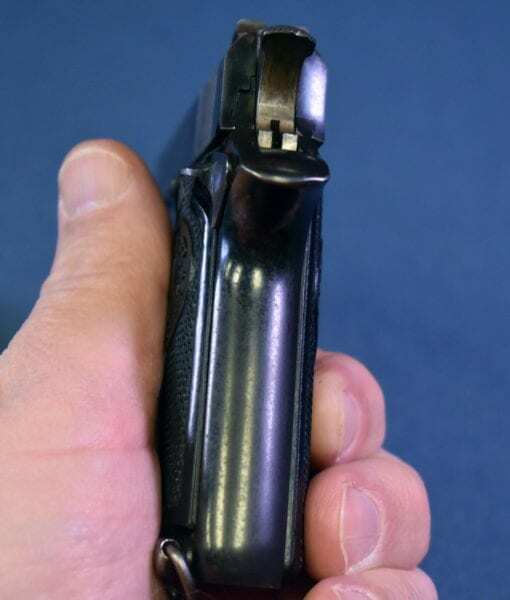 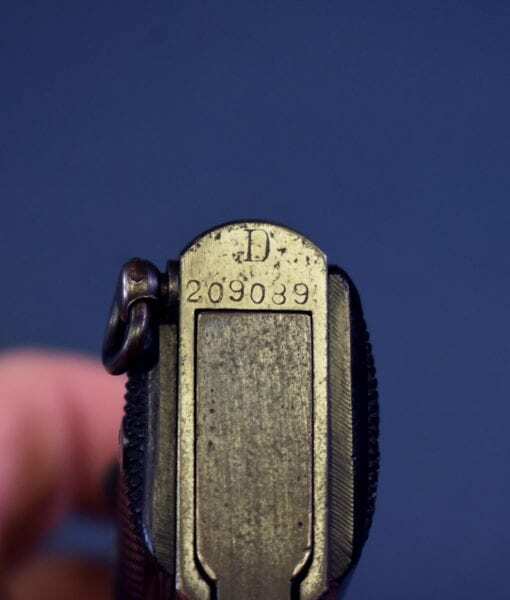 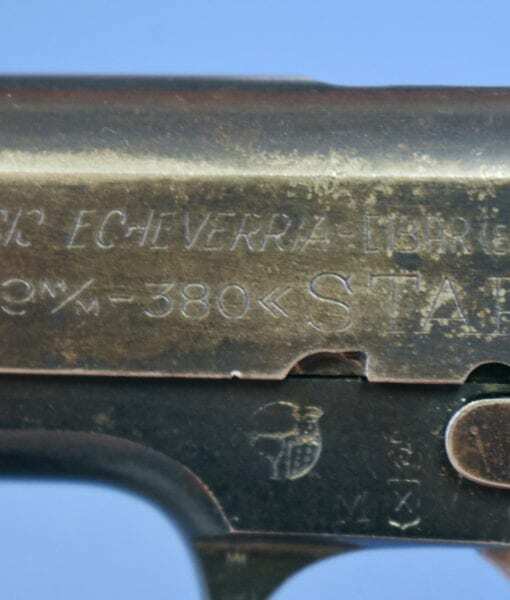 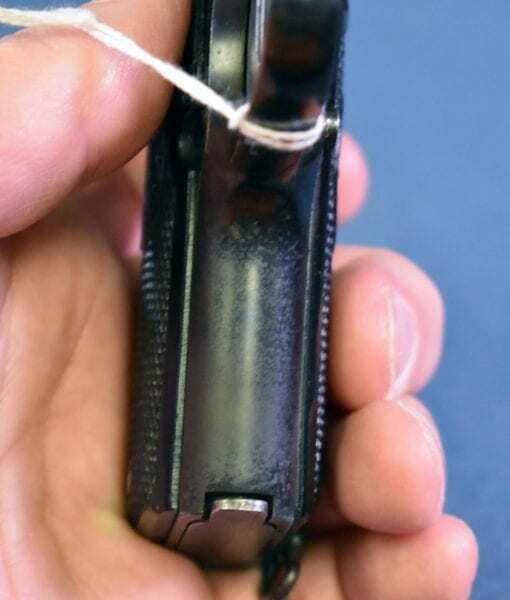 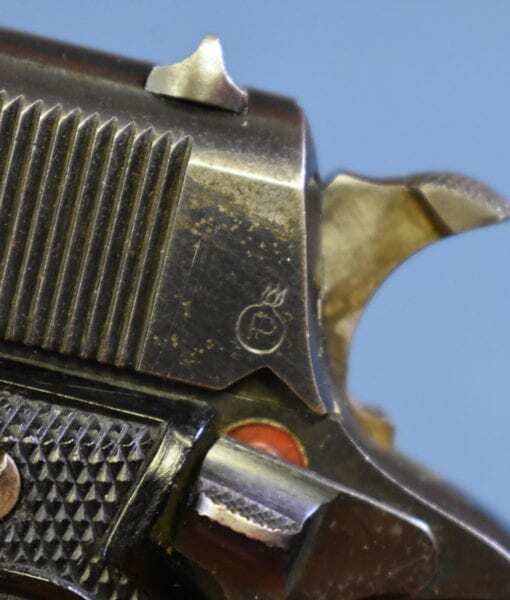 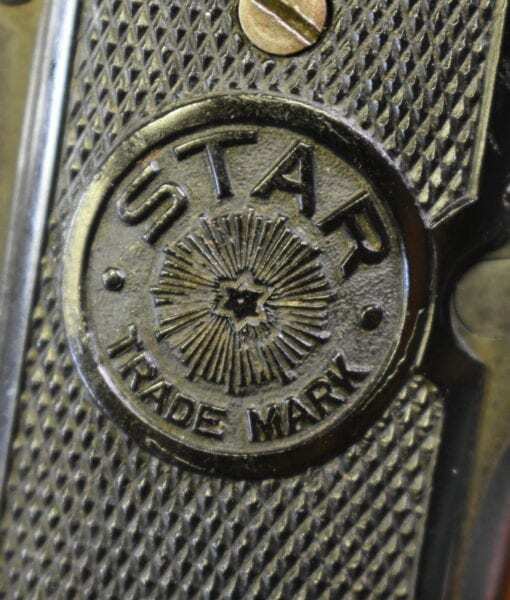 in 95% condition we have a Star Model D .380 pocket pistol that has the AKAH “Shooting Policeman Logo” . 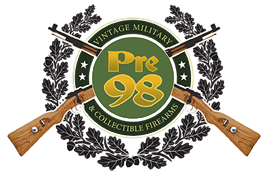 This Logo was used on commercially sold AKAH pistols in this time frame and has been observed on many models of pistols. 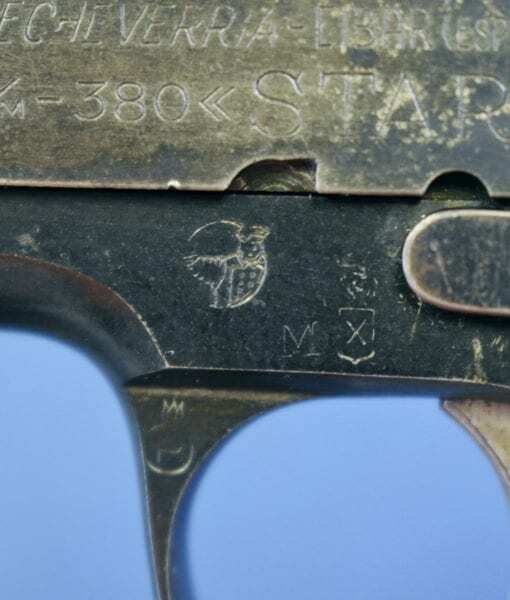 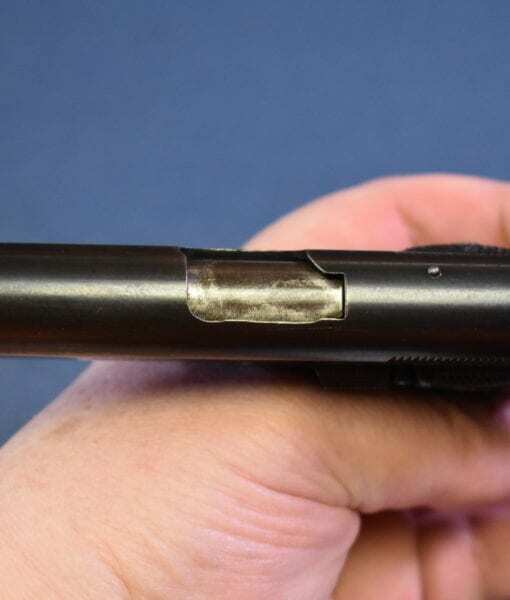 We currently have a wartime Nazi Commerical FN 1922 pistol on the site with the same logo. 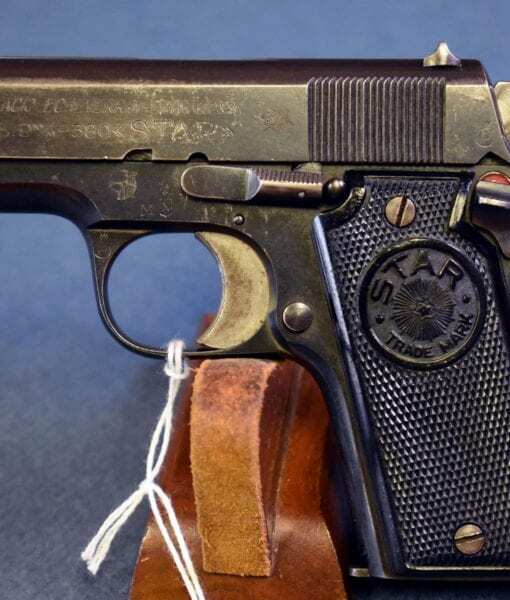 There are a lot of collectors that will have interest in obtaining this piece to fill out there extensive holdings of Axis handguns.